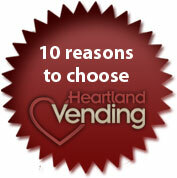 Heartland Vending offers Kansas' businesses personalized service and modern equipment. 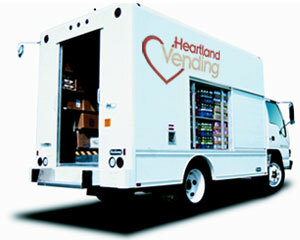 Heartland Vending is proud to be the vending supplier of choice for businesses, organizations, and schools throughout the Heart of Kansas. We're located in Halstead, KS with easy access to communities throughout the region. We've been serving your neighbors since 1999 with the goal of providing business owners and facility managers with quality and affordable vending machine solutions. Heartland Vending offers competitive prices, premium products, and quality equipment with superior service. Vending programs include standard vending and company subsidized vending that lets you offer employees and customers snacks and beverages at a discount. We never charge monthly equipment rental fees or installation charges. From the beginning, Heartland Vending has invested heavily in the most modern vending technologies. This insures you have all the latest advantages with minimal problems. And in the event you do experience a problem, our repair experts will be on the scene within 24 hours. Our 24-hour voice mail system is available to take your calls no matter how late your call. 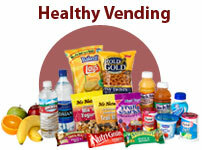 We also offer healthy alternatives that put Heartland Vending at the forefront of vending service. 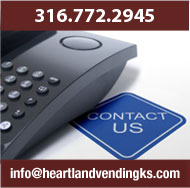 Call 316.772.2945 or email us at info@heartlandvendingks.com to discuss your exciting vending options today! We are located in Halstead, Kansas but we service a wide area including but not limited to the surrounding cities of Wichita, Hutchinson, Newton, Hesston, Moundridge, Mt Hope, Sedgwick, Burrton, Maize and Park City.